Xerox 4510 Max-Filled™ MICR toner prints checks for pennies! 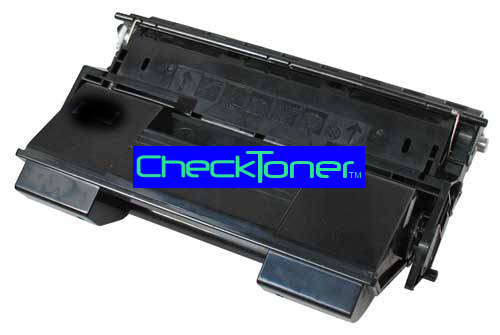 • Our MICR toner for Xerox 4510 CAN be used to print like regular Xerox 4510 toner. Only Max-Filled™ MICR cartridges for Xerox 4510 are filled to maximum capacity. Manufacturers & our competitors make huge profits on cartridges because they rarely fill above 1/3 capacity. Some competitor MICR flakes off check paper, MICR smears and will NOT scan when bank tested because magnetic content is incorrect. Other suppliers won't tell you how much MICR toner a cartridge contains or how many checks you should be able to print. In some cases, they don't know because somebody else fills the MICR toner cartridges and they just resell them. We fill ALL the MICR cartridges we sell for Xerox printers. Instead of sending you a mostly empty shell, we offer many MICR toner cartridges with our Max-Fill™. For less than the cost of 2, you receive MICR toner that may be the equivalent of up to 6 Xerox 4510 cartridges from other sources. You also eliminate hassles of buying & changing low yield cartridges. BONUS: Our MICR toner CAN be used to print like regular toner from Xerox. We also offer the most $$$ for recycling empties. We pay up to $20 refund or credit by returning empty cartridge(s). Value depends on condition of 4510 cartridge. IMPORTANT: Like our competitors, Single-Fill have recycled parts which may affect print quality and lifespan. Max-Filled™ are new, virgin empties that have NEVER been recycled. *Check yields based on optimal conditions. All our MICR toner meets American Bankers Association (ABA), Association of Banks in Singapore (ABS), Association (BBA), Canadian Bankers Association and Canadian Payments Association standards. WARNING: We've heard from many people who purchased Xerox MICR toner cartridges from other sources or eBay, only to discover after complaints from their bank, that the toner is NOT READABLE by bank scanners or the cartridge starts dumping toner inside your printer causing a mess and printer damage. Like most industries, there are good and bad MICR cartridges. We test our MICR toner with same reader at banks. We put every Xerox 4510 MICR cartridge in a Xerox 4510 printer for testing. We can't afford mistakes because Xerox refers customers to us and we supply accountants, attorneys, banks, businesses, credit unions, government agencies and police around the world.